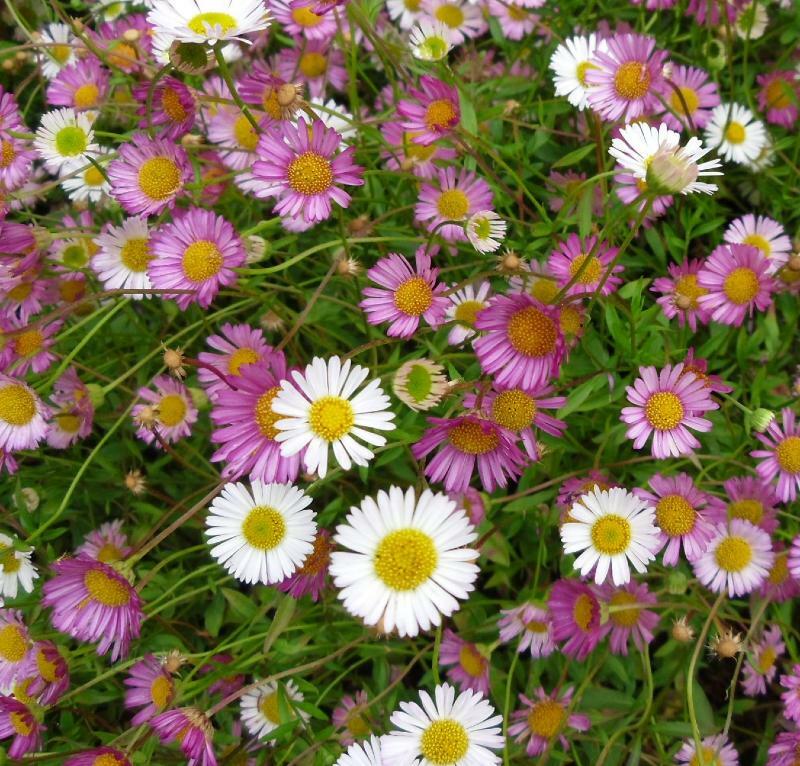 Erigeron karvinskianus is coming from the Aster family, the common name is Mexican fleabane. A perennial forming wide mats with narrow, hairy leaves. The plant is prolific in producing a profusion of small daisy like flowers which are white with yellow centres, the white changes to pink as the flowers age. 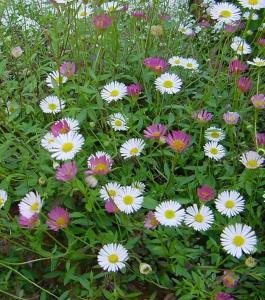 Flowering period is May-October. Easy to grow , prefers full sun. Height 0.5m, spread 1m.